DESCRIPTION: Spend and afternoon in the tropics! The Tropical Combo is a great compliment to your tropical themed event! 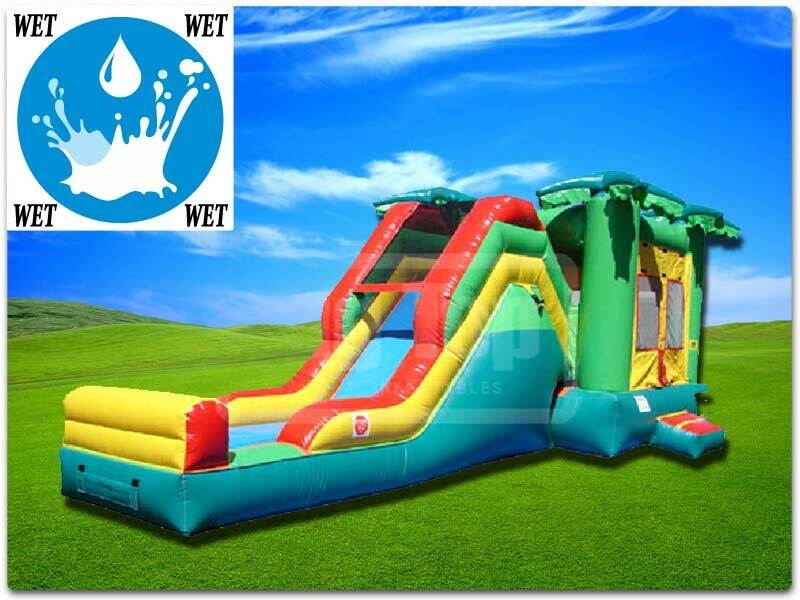 This inflatable combo unit features a regular sized bounce house/ moonwalk and a slide with splashpad. You will love the versatility of this inflatable!